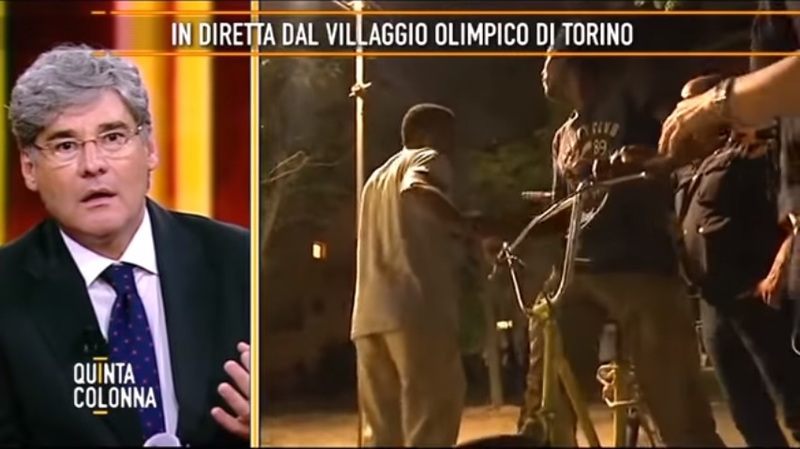 An Italian journalist was attacked on film while documenting a migrant camp that's overtaken a former Olympic village in Turin. Elena Redaelli and a cameraman bravely approached an occupied building before encountering a man on a bike who did not want to be filmed. Soon the journalists are approached by more men who begin surrounding them. The journalists attempt to retreat but are pursued by the men. Redaelli can be heard screaming in Italian, "Help, they're hitting us. We have to get away." According to Italian newspaper Il Giornale police intervention helped restore calm. The newspaper reports about 1,440 migrants currently occupy the building Redaelli attempted to film, but that only 110 are officially registered. The City of Turin was the host of the 2006 Winter Olympic games. "The Olympic village in Turin is home to the largest number of refugees in Italy," reports The Guardian.